The Countdown to Christmas is officially here and it is time to get motivated to lose weight for Christmas. Read this post to get focused on your festive weight loss goal. Create special memories with loved ones – go places, do things, dress up, have fun! What do you want to look and feel amazing for this Christmas?? Get started now and take it a day at a time. In 7 weeks you will look back and think WOW…Look what I have achieved! This is totally achievable if you give 100% commitment. Between now and Christmas you really can make massive changes to your body and your wardrobe. Let’s take a moment to think about what that could mean for you this Christmas. 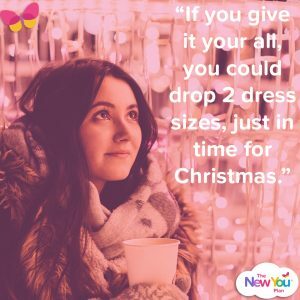 Take a moment and really imagine yourself this Christmas a couple of dress sizes smaller. 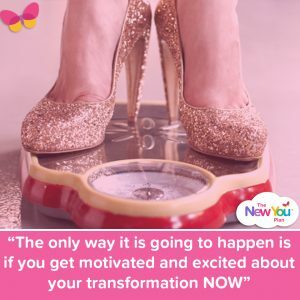 The only way it is going to happen is if you get motivated and excited about your transformation NOW, and then give yourself everything you have got to make this happen! The Christmas countdown is everywhere! The Christmas advertisements have been on television all weekend. It is true, once halloween is over, BAM! Christmas is everywhere! We all want to look and feel good at Christmas time. It is a magical time of year – time to be spent with family and loved ones. And we want to create special memories that last a life time. We don’t want Christmas time to arrive and to be dodging the camera and feeling like we are busting out of our clothes. What do you want to achieve this week? How & when are you going to make that happen? What are you going to do to reward yourself for having a good week? Start this week with the intention of being 100%, of getting into ketosis (if you are not already in ketosis), of pampering yourself, planning early nights, and evening strolls, looking at party outfits you want to wear. 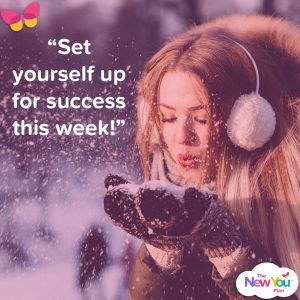 Get focused on creating an amazing transformation over the next 7 weeks!